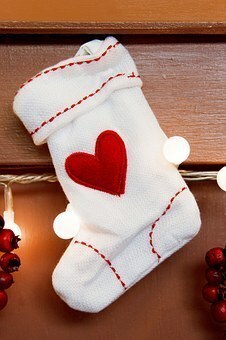 One of the hardest things for me, each holiday season is finding treats to fill my children's stockings that aren't completely full of sugar and unhealthy ingredients. I recently discovered Glee Gum! Glee Gum is a company that produces delicious, natural chewing gum. This gum contains zero artificial colors, flavors, sweeteners, or preservatives. Glee Gum comes in 11 great flavors: peppermint, tangerine, cinnamon, bubblegum, spearmint, mixed berry, sugar-free lemon-lime, sugar-free peppermint, sugar-free watermelon, sugar-free bubblegum, and sugar-free wintergreen. It’s the best-selling alternative to conventional, synthetic gum in the country. 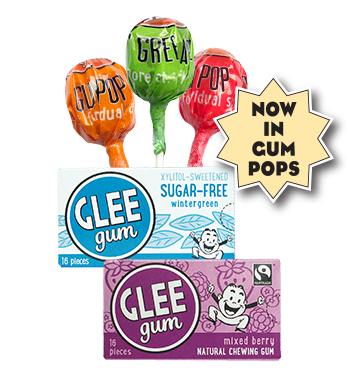 Glee Gum also has new gum-filled lollipops! These come in orange, apple and strawberry. My kids love Glee Gum Pops. Glee Gum also has some amazing 'make it yourself' treat kits! What child doesn't enjoy making their own candy? These mazing Make Your Own Candy Kits offer everything you need to make your own chewing gum, gummies, and chocolate, from scratch! Educational and eco-friendly, each DIY activity kit comes with natural ingredients and simple instructions. Easy to enjoy at home, in the classroom, at birthday parties, and more. Fun gifts for the young and the young-at-heart! Tip: If the sour mix in your Make Your Own Gummies Kit appears clumpy, don’t worry. Subtle changes in humidity can sometimes have this effect. Your sour mix is still perfectly safe to consume. Simply rub the packet of sour mix between your hands to break up the clumps and proceed with the recipe. It should work – and taste! – just fine. If you’d like, you also can add a spoonful of granulated sugar from your pantry to the mix. That should smooth the texture even more. Enter to win! Two winners will be selected to each receive a Glee Gum Make Your Own Candy Kit of their choice. sign-up for our monthly e-newsletter with exclusive deals & offers! I would get the chocolate one. I really want to try the chocolate kit. I would choose the Gummie's Glee Gum Make Your Own Candy Kit. 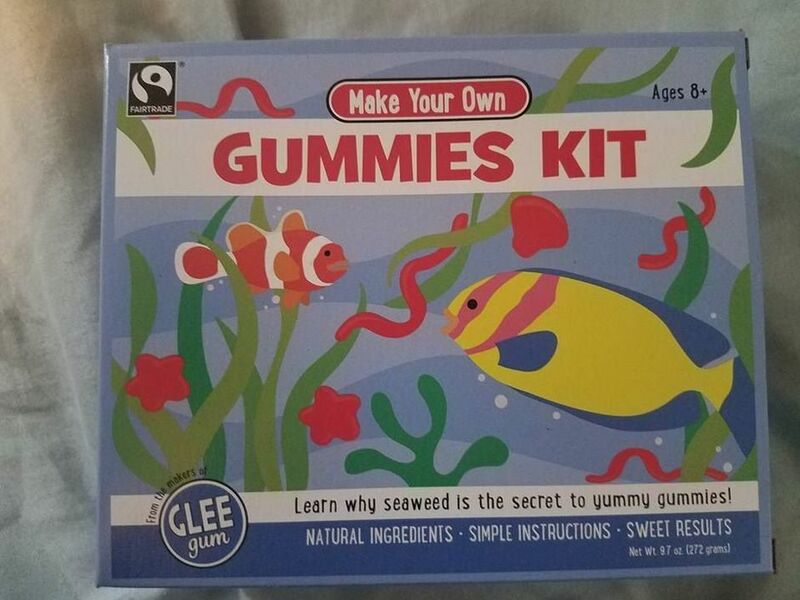 My kids would love the make your own gummies kit! I would have to go with the chocolate kit! Make your own chocolate kit. 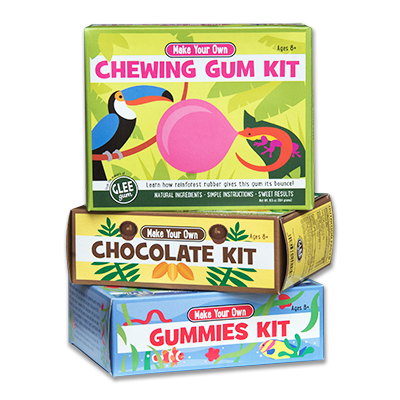 I'd love the gum making kit. I'd love to try the chocolate kit! I would choose the Make Your Own Chewing Gum Kit. I would love to choose the chocolate kit. I would choose the gummy kit!